Tree fern have an unusual appearance that makes them stand apart. They are not true trees, rather, they have fronds that spread upward. The trunk is the rhizome that has grown above ground to support it. Cyatheales, as they are also known, can vary greatly between species. Some form scales while others may have hair like features on trunks. It is possible for the plants to grow up to 60 feet tall at maturity. Dicksonia antarctica is one of the more popular species in the family. It is native to Australia and can grow up 45 feet tall at maturity. 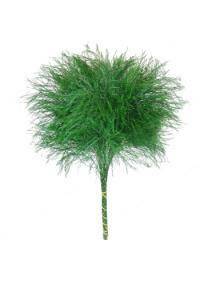 They are very hairy and have dark green fronds that spread rapidly. Spores are often produced after 20 years, enabling it to spread. It is also sometimes possible to create new plants by using cuttings. Cuttings can be risky, as the plant may die or wither as a result. Cibotium is another species that can be used to create cuttings. There are eleven subspecies in this member of the tree fern family. These species are tropical and can be found in many parts of Hawaii. Dwarf varieties are also possible in some of the areas where it grows. Feral pigs often destroy these plants while digging for the roots. Garden variety species also pose a threat as they invade wild ferns. A moist and humid climate is ideal for many of the available species. The warm and wet conditions can often lead to a rapid growth cycle. Tropical regions often find these growing in the wild or in forests. Cool weather should be avoided as it can cause rot and withering. Those who grow them further north may need to grow them in containers. These may be moved indoors during colder months to extend their life. It is important to never over water the ferns as they can rot quickly. If planted in a garden or a lawn, well drained soil should be used. Very rough soil may need additives to keep the plant healthy longer. Hardy varieties can be used for those wanting long lasting plants. These often have some resistance to cold, drought or some diseases. Some species may be slower growing than others ideal for containers. Some cibotium rise to only ten feet tall, ideal for landscapes. In some regions the growing cycle can take an extremely long time. Pruning and cutting can also help to limit and slow its growing. The curled fronds, called fiddleheads, are often cooked and eaten. Only some of the variants are used as an edible plant for cooking. Bracken and Royal varieties are often the most popular for this. Those used as a food source can be expensive in colder locations. In areas where they are widely grown, they are often easier to obtain. Some may choose to plant them in gardens and harvest as a vegetable. Fronds from ferns are often used in floral arrangements and bouquets. Many florists have tree fern available, however the most readily suppliable places include Clarksville, TN, Pueblo, CO, Davie, FL, Huntington Beach, CA, and San Diego, CA. The delicate green foliage makes it an ideal background for blooms. They are commonly found with rose flower bouquets for anniversaries. Wildflower arrangements may also incorporate fronds with the blooms. Garden assortments that use fresh cut stems may also include a frond. The tree fern is not often used, instead other species are used.